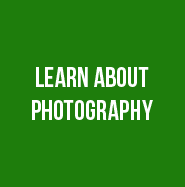 How often do you look at your digital photographs? Does the idea of sitting at your computer stop you from reliving great memories? 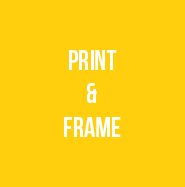 Orms Print Room & Framing is changing that by inspiring you to print, display, frame and share your beautiful photographs! Download our FREE ‘Orms Create & Print’ Software which allows you to design and personalise your own Photobooks, Photogifts, Calendars & Cards with ease and have them printed and delivered to your door. If you do not have the time to create your own print layouts, or the idea of doing it yourself is a little daunting, why not commission one of our highly creative designers and let them lay it out for you? Orms Print Room & Framing is thrilled to offer you the complete solution for any creative brief from professional printing and framing, to display and décor concepts, exhibition services, design services and great gift ideas. With so much on offer at Orms Print Room & Framing now you can create in your world and print in ours. All orders are accepted according to these terms and conditions. 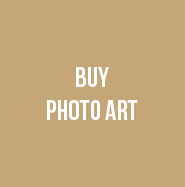 By using the Orms Photo Art website you accept these terms and conditions. 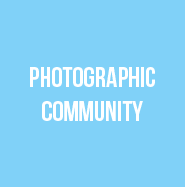 When you have completed the submissions page on the Orms Photo Art website and have uploaded your selected images the photos will go to a panel of judges which then vote on the images. Their decision is final. Under these terms and conditions you may not use any of our services for illegal or fraudulent purposes, and may NOT place any of the following material as your own. a) Any unlicensed copyrighted materials from photographers, artists, publishers, composers, writers, or any other authors of original works. The copyright owner’s exclusive rights prohibit the reproduction of any original work without their consent. You are responsible for all possible consequences of unlawful use of protected data. b) Any material that is unlawful, indecent, pornographic, obscene, lewd, filthy or vile or is inappropriate and harmful to children in any way. Orms Photo Art reserves the right to refuse to accept or print any submissions that we believe to be unacceptable and fall within the category’s described in paragraphs (a) through (e) above. You acknowledge and agree that you will be liable for any action taken against Orms Photo Art in relation to any such activities and will fully indemnify Orms Photo Art against any such claims, actions, demands or costs that may arise as a result. You further acknowledge and agree that Orms Photo Art may preserve content and may also disclose content if required to do so by law or in the good faith belief that such preservation or disclosure is reasonably necessary to: (a) comply with legal process; (b) enforce the terms of service; (c) respond to claims that the content violates the rights of third-parties; or (d) protect the rights, property, or personal safety of Orms Photo Art, its users and the public. Orms Photo Art can in no way be held responsible for damage or loss of the uploaded files or to non-delivery of any product due to incorrect information given or failure by the couriers to locate and deliver the product to you. Orms Photo Art is not responsible for 3rd party shipping errors, omissions or damaged shipments. Orms Photo Art takes no responsibility for the colour of images on your screen compared to how they print. Each printer is calibrated according to the substrate used and each substrate reacts differently so there could be colour discrepancies. You, the customer shall indemnify Orms Photo Art against any claims, costs and expenses arising out of infringement of copyright, trademark, patent or design. Orms Photo Art gives no warranty, express or implied, concerning the suitability of the goods supplied for any purpose whatsoever nor shall Orms Photo Art be liable for any direct, indirect, consequential or other loss including loss to third parties arising out of errors in carrying out an order placed or by delay in delivery, or by the suitability of goods for use as intended. Lead time is dependent on stock availability and the amount of orders in production at the time of placing your order. Normal turnaround time for Giclee, Lightjet and flat Canvas printing orders are 1 – 2 business days; Metal, Wood, Perspex and stretched Canvas around 5 business days and framing between 7 – 10 business days. (Excluding shipping). Every effort is made to effect shipment of your order timeously however unforeseen circumstances may cause delays. Should we be faced with such an occurrence Orms Photo Art will contact you via email and provide you with a revised delivery date. Any order is subject to cancellation or variation by reason of Force Majeure from any cause whatsoever beyond Orms Photo Art’s control including inter alia: inability to secure labour, materials, power or supplies, or by reason of an Act of God, war, civil disturbance, riot, state of emergency, strikes, lockout or other labour disputes, fire, flood, drought or legislation. Orms Photo Art provides a 100% guarantee against manufacturing defects. Orms Photo Art will not cancel or refund an order except in the case of workmanship defect, or if the product arrives damaged or the product does not match the item(s) you ordered. Orms Photo Art reserves the right to change brands or substitute the materials used in the production of your order. Materials used in the production of your order are subject to change without prior notice. The next best alternative will be sourced and used in the case of material shortage so that the same quality standards can be maintained. In order to make a complaint about products from Orms Photo Art a written complaint must be received by Orms Photo Art within seven days of receipt of your printed product. The defective product must be returned (at the customer’s own expense) within 14 days of receipt of the product to be considered viable for a refund. Orms Photo Art is not responsible for customer generated mistakes, errors or defects including spelling, typographical or grammar errors, order quantity or other ordering errors. Please be sure to preview your order carefully before placing your order. *In order to request to return a purchase, Orms Photo Art must be contacted on 021 469 1985 or email info@ormsphotoart.co.za. * Note: Orms Photo Art recommends that you use Supaswift a FEDEX Express for all returns as it offers shipment tracking through a website tracking system. Should you choose to use a carrier that does not offer a tracking facility and the goods are lost then no refund or return will be considered. 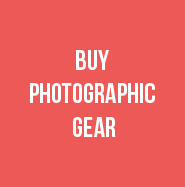 Orms Photo Art endeavours to offer you competitive prices on products; you’re total order price will include the price of the purchase plus any applicable shipping charges and packaging and crating costs. Orms Photo Art reserves the right to change pricing at any time without prior notice. Should Orms Photo Art reduce it’s price on any shipped products within 10 working days of shipment, you may contact us and request a refund of the difference between the price you were charged and the reduced selling price. To receive the refund you must contact us within 14 days of shipment. One of the most widely used ways of sending money online. Once you have added enough items to your shopping cart, proceed to ‘Checkout’ and follow the order processing instructions. Select the option to pay via EFT. You will then have to load Orms Photo Art as a beneficiary on your internet banking and use the unique order number in the reference line for your payment. This should ensure speedy processing and delivery of your selected products. You may pay for your products through a direct deposit. It’s exactly the same as doing an EFT payment, except you’ll have to go into your bank and physically make your direct deposit there. Please email through your deposit slip to us at info@ormsphotoart.co.za to ensure your payment is confirmed and order shipped as quickly as possible. I understand that all the designs and trademarks are registered to Orms Print Room Pty Limited and hereby accept the terms and conditions. I undertake not to copy/duplicate the trademarks and designs directly or indirectly in anyway and understand the legal implications thereof. Should I be found to be in violation of this agreement I understand that I will be held liable for all legal costs incurred by Orms Print Room Pty Limited for any civil action or any legal action deemed necessary against me.